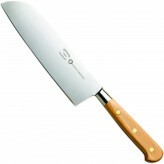 The king of the kitchen, a Chef's Knife can be used for mincing, cutting, chopping, carving and boning. 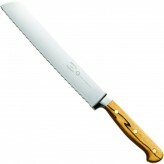 Our 20cm knife gives the very best combination of power and control. 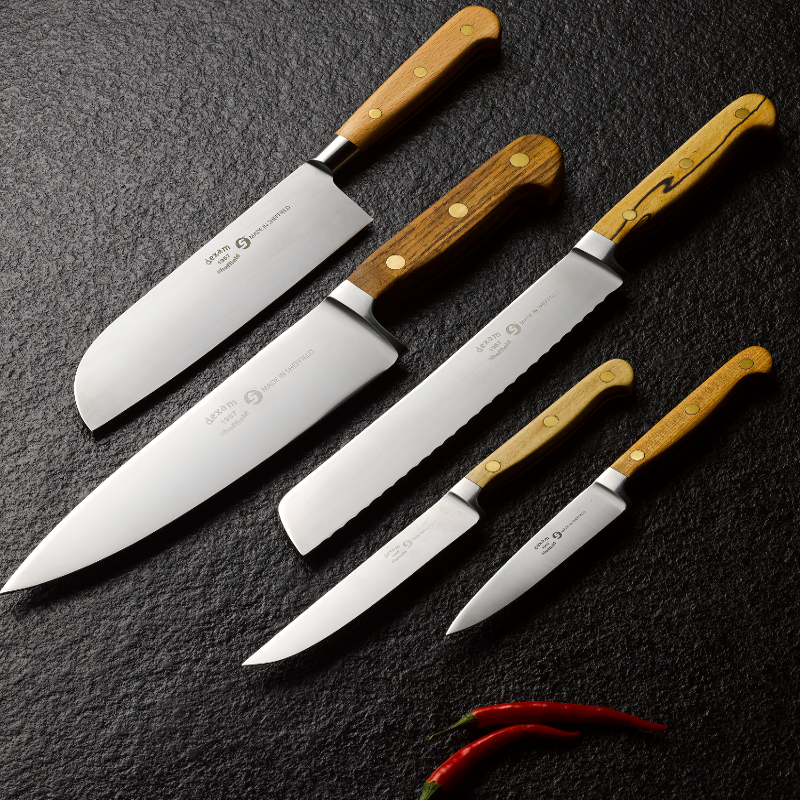 The perfect steel - The best knife blades are made from high chrome steel for sharpness and longevity, a high carbon level for maximum stainless quality, and a hardness (Rockwell 53-55) that allows the knife to survive in a hardworking kitchen. 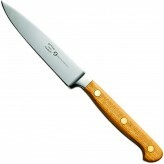 This Sheffield made knife is as sharp as the best combination of raw materials, skill and technology can make it. 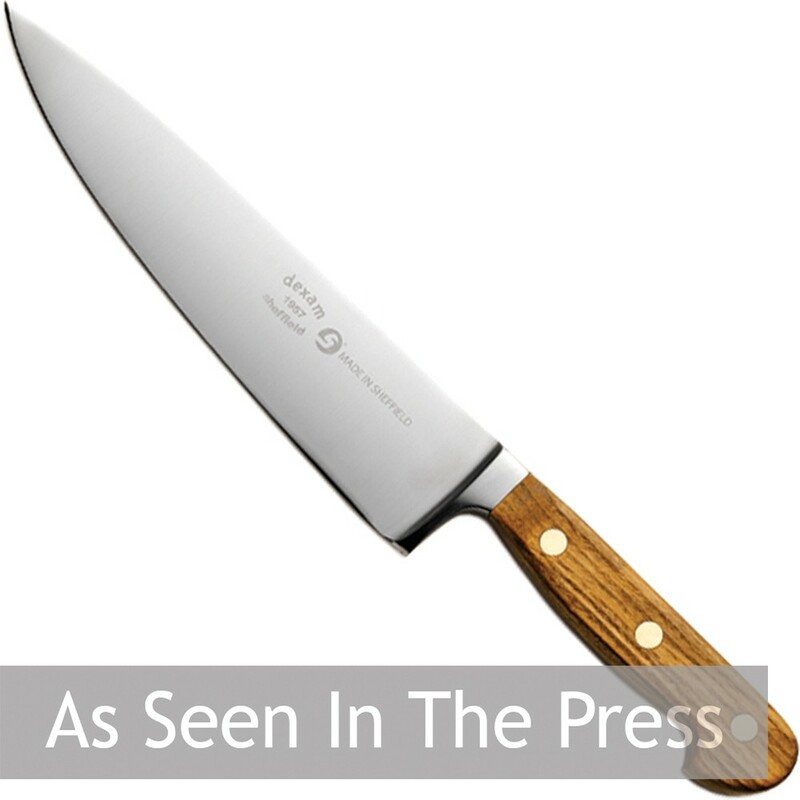 About our wood - Our knife handles are made with English native hardwood (beech, ash, cherry and horse chestnut) from managed woodlands from a small area near Malton in North Yorkshire, and often from gale-damaged boughs. The timber is processed by a team that has worked these woods for over 20 years. Personalising your knife - We offer a blade engraving service (£5.00, 5 working days, max. 20 characters). 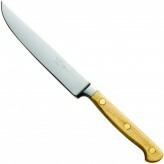 Make your knife the perfect gift, for a newly qualified student, professional chef, or a keen cook. 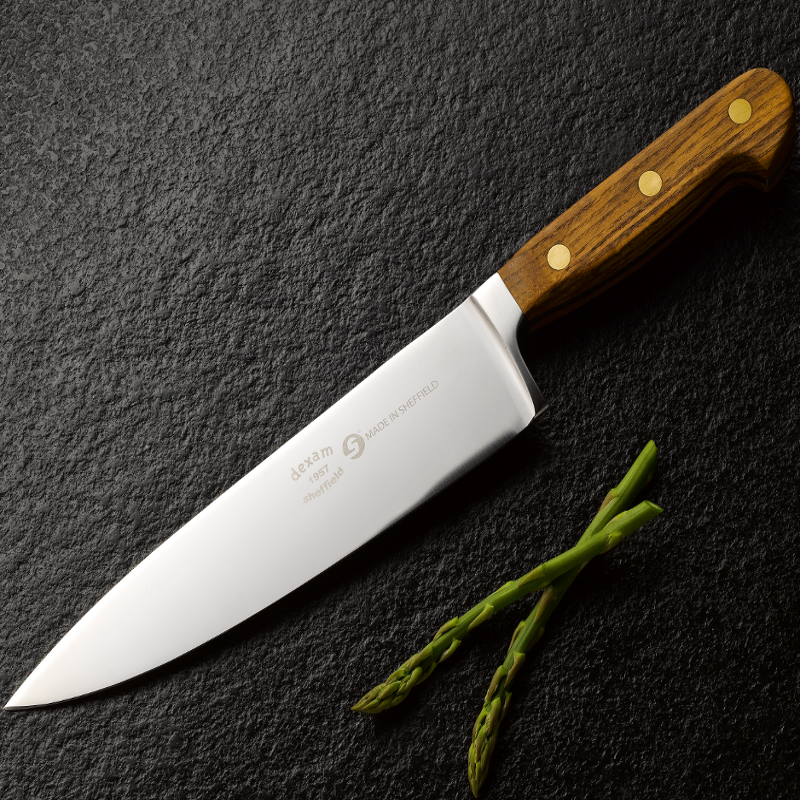 To personalise your knife please call us on 01730 811888, or email cs@dexam.co.uk and we'll respond in working hours. Sharpening and maintenance - The old myth that a serrated knife cannot be sharpened is exactly that, a myth! To maintain its factory sharpness, sharpen your knife every 3 or 4 times you use it, using a manual or electric diamond sharpener. We believe the finest available come from Chefs Choice in the USA which you can find here. Hand wash your Forest and Forge knife in warm soapy water and wipe dry as soon as possible. Dishwashing should always be avoided, as should leaving wooden handled knives in water for any length of time. 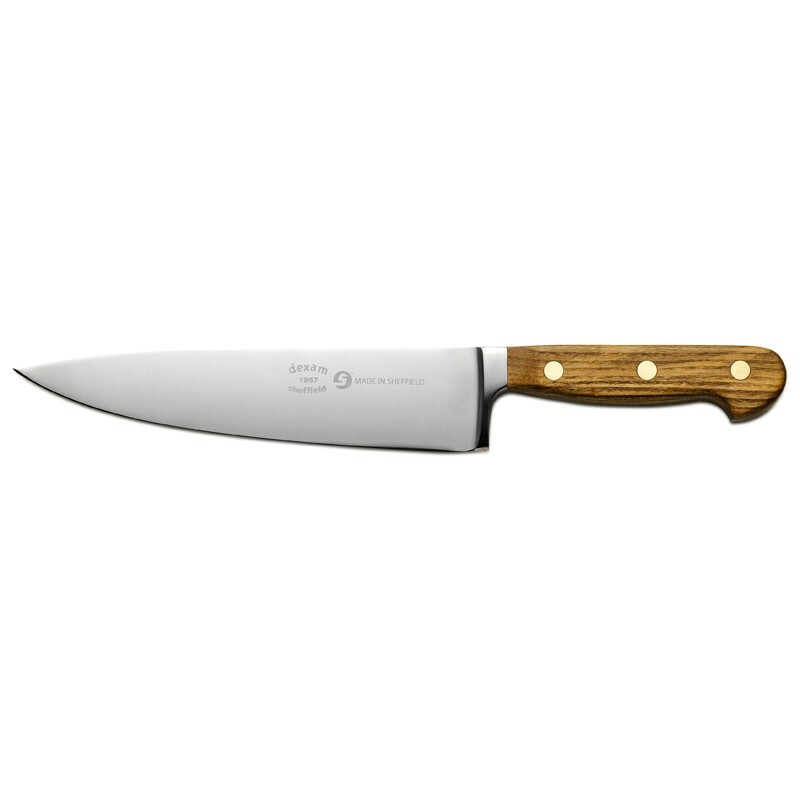 A Chef's Knife can be used for mincing, cutting, chopping, carving and boning.